Jeff Smith & Associates, Inc. has an extensive network and candidate database developed over 25 years working in the industries and technologies we serve. There’s nothing more important to your success than identifying and hiring great people. When you have a critical need for talented people with specific experience and a high degree of expertise in your field, talk with us. Often the most talented people are not actively looking for a job. We have built relationships with those hard-to-find people with the education, skills and experience you need. You will not see lots of resumes for a particular job from us, but those you do see will be on target. We won’t waste your time, allowing you to attend to the more important aspects of running your business. We know, too, that you want timely results. In the majority of our searches, the candidate hired is identified in the first two weeks of a search. This is our Value-Add. Jeff founded Jeff Smith & Associates in 2003 after an earlier career spent on the Corporate side of the Recruiting desk. His easy-going, yet persistent style, along with extensive contacts and connections developed over more than 25 years, have made JSA a leader in placing technical candidates with specialized skills in the Life Sciences and Water Treatment industries. Prior to starting Jeff Smith & Associates, Jeff spent 15 years with Millipore Corporation where he recruited and helped hire hundreds of technical management, sales, marketing, R&D and support personnel. Jeff considers himself a bit different than most “Headhunters” and this seems to wear well with both clients and candidates. With his easygoing, honest style, penchant for detail, and a need to keep everyone well informed throughout the process, as well as his guarantee of total confidentiality, he has developed a strong business centered around repeat customers and referrals. Jeff’s main focus is on Senior Management (CEOs, COOs, Presidents, Vice Presidents), Sales, Marketing and Business Development, as well as Field Applications Scientists and Engineers and other Sales Support positions. A graduate of Brown University, Jeff was a member of Brown’s Football team and today lists as his interests his family, competitive sports and enjoying the beauty and splendor of Cape Cod. Zachry attended school at Texas State University where he studied Business and Communication. Since then, Zachry has been a life-long entrepreneur who has played a critical role in many different start-ups with a primary focus on sales, business development, and marketing. His strong communication skills and likable personality, mixed with his ability to form long lasting relationships, has defined his career. He has spent the last five years in the environmental, water, and wastewater industries working with industrial customers to find innovative solutions to their needs. 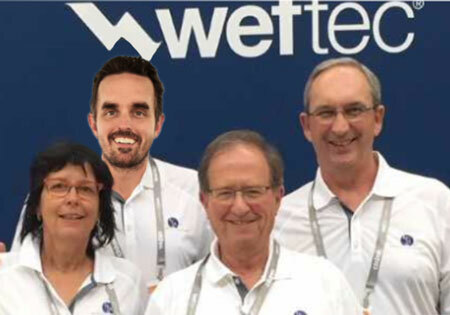 As a principal of Sustainable Water Technologies (SWT), Zachry was in charge of Business Development by utilizing his years of business contacts and networking as well as SalesForce CRM. Zachry would identify Industrial Customers that were experiencing water and wastewater issues and then work with technology suppliers and engineering firms to provide viable and cost effective solutions for either compliance purposes or water re-use. Previous to SWT, Zachry acted as a Project Manager and eventually took over the position of Sales and Marketing for Oxy Technologies. He specialized in the implementation of site specific chemical oxidation solutions, the Health and Safety involved with this process, and the implementation of the technology. Zachry has extensive experience with In-Situ and Ex-Situ chemical oxidation applications in environments ranging from remote Arctic sites to the downtown areas of major cities. Zachry brings a wealth of experience and opportunities to Jeff Smith & Associates as the company expands its market place and increases the value for our clients and candidates. Zachry is an outdoor enthusiast and driven athlete who enjoys mountain biking, trail running, hiking, kayaking, swimming, reading, and all things technology. operations at AstraZeneca, improved productivity of biologics R&D processes at Millennium Pharmaceuticals ( now Takeda Oncology) , and was a productivity consultant for upstream/downstream bioprocessing. Ric conducted several successful personal job searches during the unsettled and volatile economies of the 1990’s, and “graduated” from a few outplacement companies. He decided to make a career change and apply his soft and hard skills in a different capacity. Remembering that Jeff Smith hired him as a mid-level engineering manager into Millipore, Ric sought Jeff’s opinion on being a recruiter, and he has been with Jeff Smith & Associates since September 2007. Ric’s recruiting focus is Sales, Marketing, Business Development, Management, Research & Development, and Engineering positions, and he specializes in product, process, operations and facilities. Ric has a BS Chemical Engineering and MS Engineering Management from Northeastern University. He occasionally speaks about job search methods and career development at NU, the ISPE Boston Chapter, and at local networking groups. His interests are family, music, comedy, summer days at the ocean, and the always-entertaining Boston professional sports scene. Christl has over thirty years’ experience in the technical writing, project management and administration fields, working in the environmental, water, wastewater and consulting industries. A graduate of the University of Toronto, Christl provides the behind the scenes expertise in operating a business. Her expertise in data mining candidates, researching and IT support provides a new dimension to Jeff Smith & Associates. For four years, Christl worked for SWT Consulting Inc., as the Office Manager and was responsible for the data mining of contacts for the business, and was also was responsible for writing both technical and promotional materials. Prior to that, Christl was the Project Manager and technical writer for Oxy Teknologies Inc. working in the environmental remediation project field. As a partner in a small environmental consulting business for 15 years, Christl handled the project management of over 250 remediation projects, and functioned as the technical writer / editor of the environmental reports. Christl is interested in woodworking, yoga, kayaking, the outdoors and cooking.